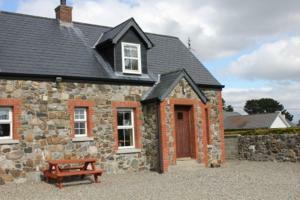 Situated between the Mourne and Cooley Mountains, Mourneview BnB offers a beautiful setting in County Louth. It has panoramic views of the rolling countryside from its tranquil location. Guests can enjoy the pretty, landscaped garden and barbecue facilities in warmer weather, or relax in the guest lounge. 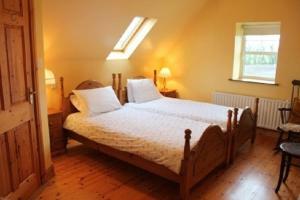 This well-established bed and breakfast will suit those travelling along the east coast of Ireland. Wi-Fi is available in some of the pretty rooms. The property has an ideal setting for exploring the surrounding countryside and is just 2 miles from the Medieval town of Carlingford, where you will also find restaurants and pubs. 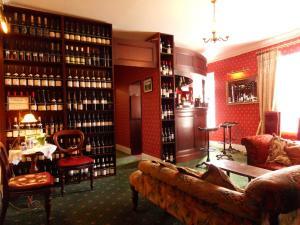 In Carlingford's centre, Belvedere House offers award-winning local cuisine at its Baytree Restaurant, and elegant, themed rooms with heated towel rails. 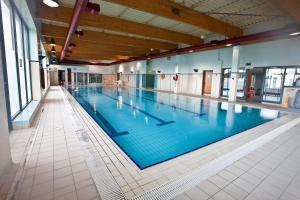 Guests have access to the adjacent leisure facilities, and free Wi-Fi is provided. With antique pine furniture, each warmly and individually decorated room features an en suite bathroom with a heated towel rail and power shower. A flat-screen TV and tea/coffee is included in every room. Specialising in fresh, local seafood and named the best restaurant in Co. Louth, Baytree Restaurant uses Irish ingredients to provide modern Irish cuisine. Organic herbs, lettuce, and mustard is also grown in-house. Carlingford's narrow streets and medieval architecture include King John's Castle, which is just 5 minutes' walk away. The Holy Trinity Heritage Centre is less than 10 minutes away on foot, and Greenore Golf Club is a 5-minute drive away. With a restaurant and a cookery school, this family-run Georgian House lies only 50 yards from Medieval Carlingford. 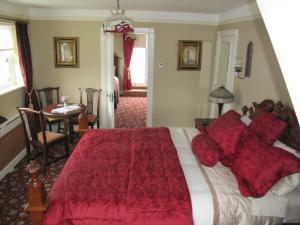 Overlooking the mountains, it features rooms with family antiques and free Wi-Fi. Nestled in 2 acres of walled gardens, this listed building welcomes its guests with authentic Georgian ambience. 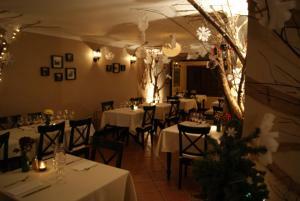 Guests can relax by the log fire in the lounge or have a drink in the intimate bar. 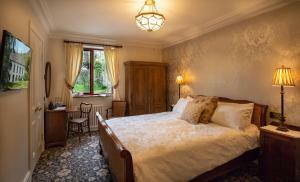 Guest rooms are located in the Garden Annexe a few yards from the main building. 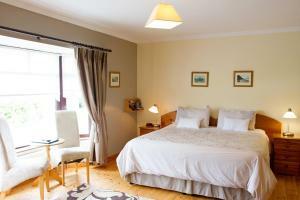 All rooms enjoy fine views of Slieve Foy Mountain or The Mourne Mountains and Carlingford Lough. 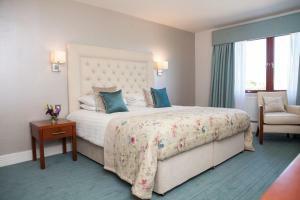 Each comes with an en suite bathroom with a bathtub and complimentary Gilcrest & Soames toiletries. 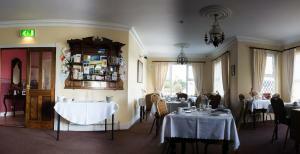 The award-winning restaurant serves shellfish from the lough and locally sourced lamb. Bread, ice cream and sauces are made on site and the house even has its own herb and vegetable garden. 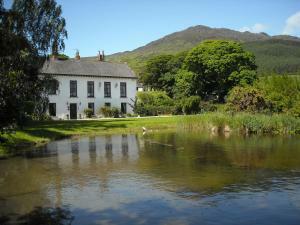 Set in 3 acres of grounds, the Grove House B&B is located in the medieval village of Carlingford, County Louth. 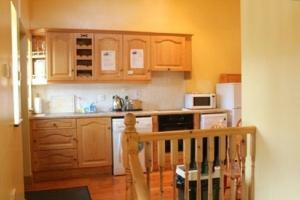 It offers home cooked breakfasts, free Wi-Fi and free parking. On Ireland's East Coast, Grove House is halfway between Dublin and Belfast. Dublin Airport is a one hour drive away. 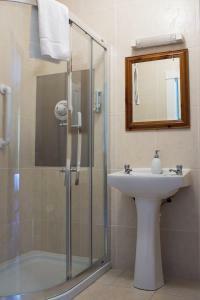 Rooms at the Grove House feature shower rooms with free toiletries. 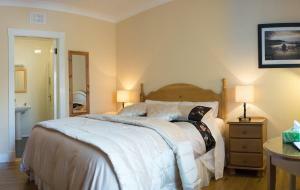 Rooms include beds with electric blankets, TVs and tea/coffee making facilities. 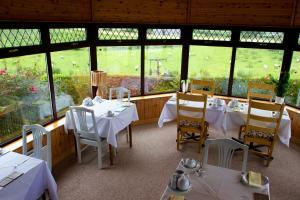 All rooms are on the ground floor and some have garden views. Carlingford town center is a 10-minute walk away and has a good selection of shops and restaurants. Kings John Castle and Carlingford Abbey are in the center of town. Located at the foot of the Cooley Mountains, Riverside Lodge BnB offers free on-site parking and is just 10 minutes' drive from the medieval town of Carlingford. 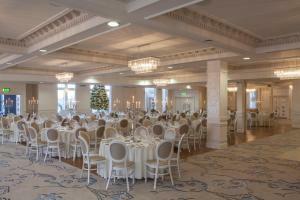 Guests also benefit from a free shuttle to and from Carlingford. Free Wi-Fi is featured in each room at Riverside Lodge, along with a four-poster king-size bed, en suite bathroom and flat-screen TV. Tea/coffee making facilities are also provided. A traditional cooked breakfast is served each morning, along with a selection of chilled fruit juices, pastries and eggs cooked to your liking. There is a large patio area and landscaped garden for guests to relax in. Dundalk town centre is a 15-minute drive from the BnB and features a wide variety of shops, restaurants and a theatre. Rock climbing, kayaking and zorbin are just some of the activities that can be enjoyed at Carlingford Adventure Centre, which is a 10-minute drive away. With a rural mountain location, Millgrange Cottages feature a selection of stone cottages adjacent to Greenore Golf Club and within a 2-minute drive of the medieval town of Carlingford. Free private parking is available on site. 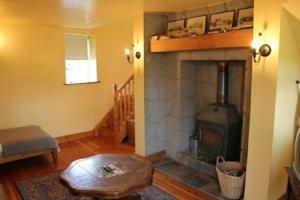 An open fire, TV with DVD player and a fully equipped kitchen are featured in each Millgrange Cottage. A dishwasher and washing machine are also provided. Shelling Hill blue flag beach and Whitestown shore walk are just 5km away from the property, and Ravensdale Lodge Equestrian Centre is only a 15-minute drive away. Dublin Airport can be reached in just over an hour's drive. In picturesque Carlingford, The Four Seasons Hotel overlooks the Cooley Peninsula, with beautiful views of Cooley Mountains and Carlingford Lough. 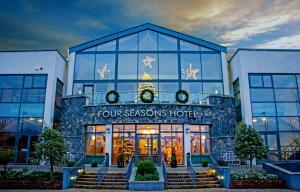 The hotel is a 1-hour drive from Dublin and Belfast. The Four Seasons Hotel boasts extensive leisure facilities, including a hot tub, sauna, steam room, modern gym, 20 yards swimming pool and a children's pool. Lough Lounge is a relaxing space to dine in, with striking views overlooking the Lough and Cooley Mountains. Guest can enjoy the Luxe Spa which offers an array of treatments and packages including stone facials and full body massages. All of the comfortable, well-furnished rooms have en suite facilities and a TV. Free Wi-Fi internet access and free parking are available in the hotel. Local leisure activities include golfing, horse riding and hill walking amidst the beautiful scenery. Located in Carlingford, The Oystercatcher Lodge Guest House features an à- la-carte restaurant, packed lunches and children playground. Free WiFi is available in some areas and free private parking is possible on site. The rooms come with mountain views, a TV with cable channels, tea and coffee making facilities and parquet floor. 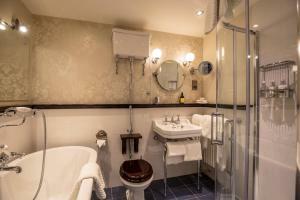 They also offer an en suite bathroom with free toiletries, hairdryer and bathtub or shower. Every morning, guests can enjoy breakfast in the comfort of their room. The Oystercatcher Bistro serves local products, organic mountain lamb, Cooley beef and fresh fish, along with a selection of wines. 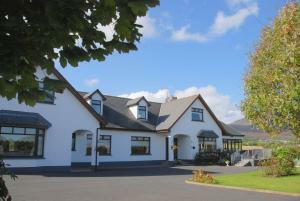 Local activities include golfing at Greenore Golf Club, 5.8 km away, windsurfing, laser games or rock climbing at Carlingord Adventure Centre, just 250 metres away, or hiking in the Cooley Mountains. Guests can also go sailing or hire a boat to go sea fishing.